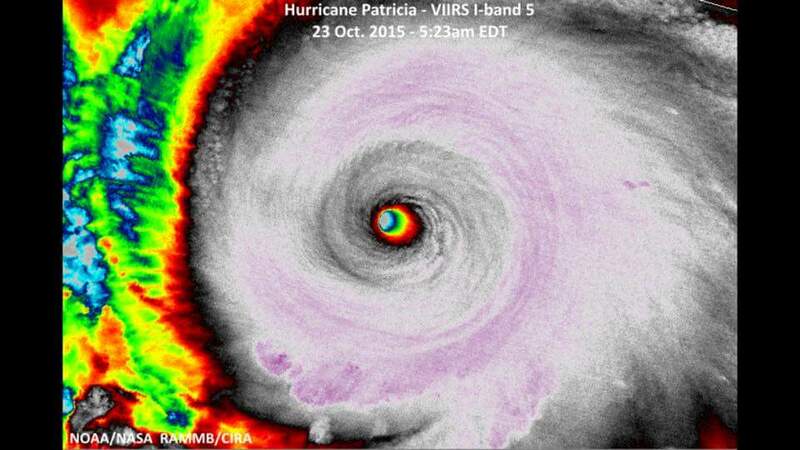 Deadly Hurricane Patricia — Coverage from Ground Zero! Hurricane Patricia is going to be deadly. I can’t even sit here and pretend I am not just in shock over her power. There are a ton of blogs out there about her size and strength, but she is the strongest hurricane in the NHC’s area of responsibility, which is basically the Western Hemisphere. Surpassing extreme and previous historic storms like Hurricane Wilma, Katrina, etc. Getting right to the point, the crazy, brave folks at iCyclone are there, at ground zero bracing for impact…. Check out their Facebook and Twitter feeds!